ESVAGT has appointed Lise Bjerning Terp as new Head of QA & Management Secretariat and Asger Stürtzel Sørensen as new Head of HSE. ESVAGT's ambition to increase its focus on both safety and quality has prompted ESVAGT to divide its important HSEQ area into two. "We want to further strengthen both activities by dedicating the right competences to them. Both areas are truly central for what we stand for and the quality we deliver to our customers," he says. 35-year-old Asger S. Sørensen will be the new Head of HSE. He has been with ESVAGT since 2010 both at sea as navigator and in Ship Management – Operation as Fleet Manager. "HSE is deeply integrated within ESVAGT; it is the starting point for all our operations and the services that we deliver. 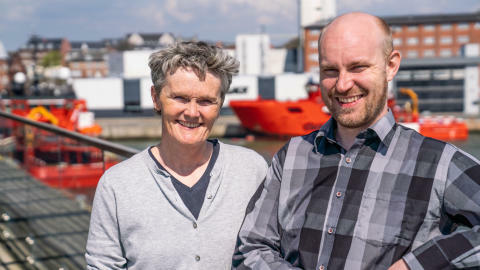 HSE functions in close cooperation with the vessels, operations and the technical department – and I am pleased to be a part of continuing to form the framework that makes our workplace a safe place for all of us," says Asger S. Sørensen. Head of ESVAGT's Management Secretariat, Lise Bjerning Terp, 50 years old, will take on the responsibility for the QA function as new Head of QA & Management Secretariat. "ESVAGT has a tradition of building competences, optimising processes and equipment and for sharing knowledge and experience – especially within the fleet. We have now started to systematically document our processes to ensure that we are well equipped for even more growth, and this is something that I am looking forward to playing an active role in," says Lise Bjerning Terp. 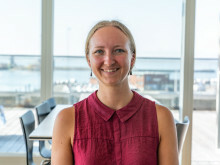 Lise Bjerning Terp has been with ESVAGT since 2014 and has previously worked as HSEQ Manager at HYTOR and Business Process Manager at Semco Maritime.